The new Chair of the IPCC, Hoesung Lee, has suggested that the panel should place more emphasis on social science, initiate more interaction with business and finance, and pay more attention to solutions for climate change. 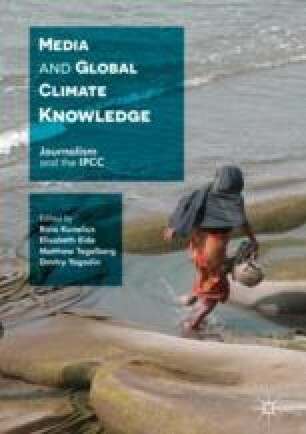 This chapter pulls together findings and conclusions from the previous chapters and makes suggestions regarding how to meet the challenges of a more solution-oriented focus on climate change. It illuminates lessons that can be drawn for the IPCC itself, as well as for journalists and media researchers; recognizing that journalism is at the core of this future orientation and thereby plays an integral role in connecting the actions and arguments of various stakeholders.